This past Fall, Pratt HA&D students enrolled in a special course dedicated to the exhibition David, Delacroix, and Revolutionary France: Drawings from the Louvre at The Morgan Library. 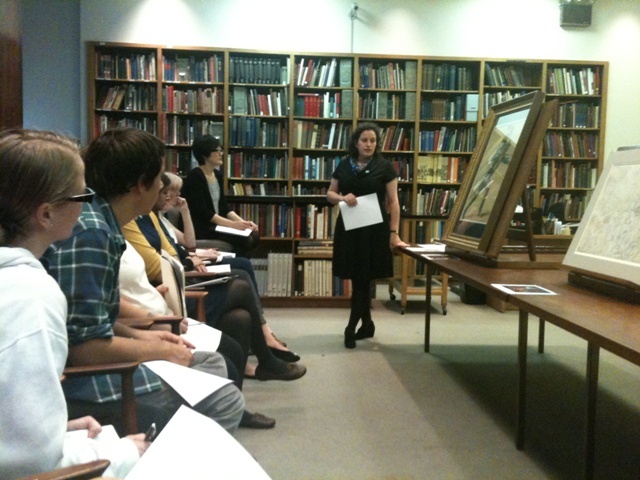 Students in Dr. Polistena’s course enjoyed a curatorial lecture and tour of the exhibition, a private viewing of 18th-19th century prints by Jaques-Louis David, Eugene Delacroix, and Jean-Auguste-Dominique Ingres in the Morgan Library Print Room. Additionally, at the Metropolitan Museum of Art Print Study Room, the students heard a talk by Pierre-Paul Prud’hon expert, Dr. Elizabeth M. Rudy, in which they viewed exceptional and rare prints of the period (see photo).